Shipping a car overseas is a major decision, as it is usually one of our most valuable assets. If you have questions regarding the safety of your car during transit, let a trusted car shipping services company such as EasyHaul help ensure a seamless transition of your prized possession. To help you get started, here is a step-by-step guide to make your international car shipping process as simple as ABC. Take a look. The first step to consider when shipping a car overseas is choosing a shipping method. 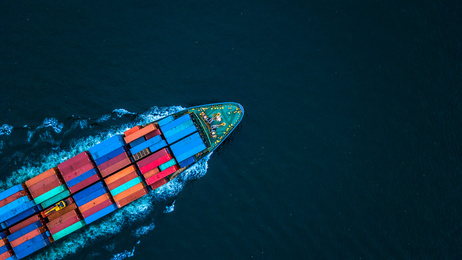 You can ship your car across the oceans by choosing a method that suits your budget and requirements, with the most commonly sought options being “Roll On Roll Off, also called RORO, and shipping containers. Although less common, RORO is a less expensive method to ship vehicles internationally. RORO can be used when a vehicle is fully functional. It is an ideal option to choose for new cars and ensure safe and timely delivery. Using containers to ship your vehicle has many benefits. They are not only cost-effective and safer, but are also supported by certain automated capabilities that help ensure safe loading, transportation, and unloading of vehicles. Submit two copies of government-issued identification such as driver’s license and passport. Along with personal ID’s, one copy of vehicle title is required for booking, and the original will go along with the vehicle. Recently purchased vehicles require a bill of sale. If a vehicle is currently financed, submit a copy of the title and a copy of the lien authorization, both attested by the lien holder. When shipping your car overseas, it is important to perform a thorough inspection. Maintain your own vehicle inspection report and take pictures of pre-existing damages, if any. You can also get your vehicle inspected and checked by an auto service professional before handing it over to the car shipping company. After submitting the documents, now it’s time to pay for your shipping order, which can be done using a credit or debit card or a wire transfer. If you pay with a bank wire transfer, remember to email a copy of the receipt to the car shipping service provider to inform them that you have made the payment. Last but not the least, once everything is done, prepare your car for transportation before handing it over to a car transport service provider. Wash the exterior, check for any interior damage, empty the fuel tank, disable alarm systems, and remove all add-on and custom accessories. Ready to Ship Your Car Overseas? Shipping a car to a distant land doesn’t have to be ordeal, and we, at EasyHaul, are committed to ensure that. We can connect you with a number of trusted international car shipping services provider and ship all types of vehicles to virtually any part of the world, without having to break the bank. For a no-obligation car shipping quote, share the details of your requirement on our homepage. If you have any questions or wish to discuss your options, fill out our contact form or simply call +1 (360) 597-9320.